If your order weighs less than 13 ounces, save huge on shipping with USPS first class (with tracking number). This product weighs 2.7 oz. 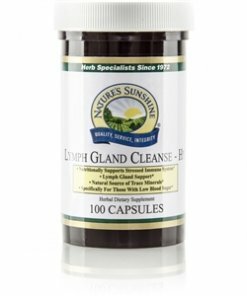 Nature’s Sunshine Lymph Gland Cleanse-HY nourishes the immune system and provides essential support to the lymphatic and respiratory systems. 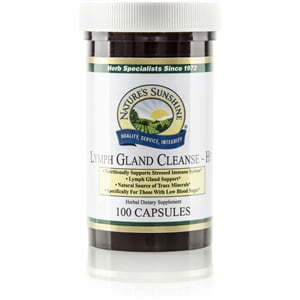 Lymph Gland Cleanse-Hy is a rich source of chromium, cobalt, manganese, selenium, silicon, zinc and varying amounts of riboflavin and vitamin C.